It can really be difficult to determine which city you should be calling your new home. There are so many to choose from especially if you have the huge state of Texas on your mind. How can you determine which city is right for you? Movingquote.org has done some research for you. Have you looked a little closer at Austin? If you have, then you need to read this article because it focuses on living in the city of Austin. Is Austin a big city? Austin is big in terms of both physical size and population. Austin is the 13th most populated city in the United States. 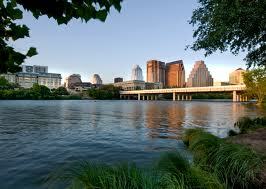 If you are looking for the big city life with a Texas touch, then you will love Austin. There are over 800,000 people living in Austin, and if you add up all of the people that live in all of the surrounding areas you will get a total that is almost 2 million people. Austin is packed pretty tight with people. If you are looking for wide open spaces, then this is not it. Can you afford to live in Austin? The cost of living in Austin is not that bad. An average meal for two at a mid-range restaurant will cost you just over $40.00. A meal at a fast food joint will cost somewhere around six bucks. A loaf of bread will cost right around $2.00, and apples and oranges will cost you around $2.00 per pound. Living expenses are not that bad either. You can expect to pay an average of right around $200.00 per month on your utility bill. A three bedroom apartment in the city will cost you $2200.00 per month. The same apartment will only cost $1450.00 per month if you choose to live outside of the city. How is the Austin job market? Austin has a very low unemployment rate when compared to the rest of the country. It is currently only 5.4%. Austin has a large high tech industry, and it has been recently named as one of the best cities for jobs by Forbes magazine. Make sure that you have steady work before you move, but once you arrive, you can start looking for better work. How is the weather in Austin? You will be dealing with temperatures of 80 degrees and up about six months out of the year. June, July, August, and September are the hottest months of the year. The average temperature will be in the upper 90s. It is not unusual for a day or two of these months where the temperature will break the 100 degree mark. Winters are mild. The coldest month of the year is usually January. The average low temperature is in the lower 40s. There have been some record cold days when the temperature fell into the negative digits, but that is a very rare occasion. Is Austin the right city for you to call home? This information should be able to help you make that decision. Previous post: Are You Thinking About Moving To Houston?